AS scripts go it would have been harder to write a better one. Manager, striker, goal scorer, legend. To some it might seem unbelievable, incredible, too far-fetched. But for those fans who grew up watching Ally McCoist it was simply inevitable. With the opening half ending goalless Walter Smith looked around for changes and turned to his former striker and assistant boss. McCoist replacing Michael Mols might have led to an expectation for less mobility up front. Not so. Just two minutes in to the second period the ball broke to Giovanni van Bronckhorst on the left and his pinpoint cross found the head of McCoist. It was no simple finish from close range though. The Rangers boss and striking legend had to outmanoeuvre Alessandro Costacurta first. So impressive was the movement and finish that it drew a shake of the hand, and head, from Milan legend Paolo Maldini. It brought the loudest roar of a fantastic night as a near capacity crowd lapped up the wide array of talent gracing the pitch. 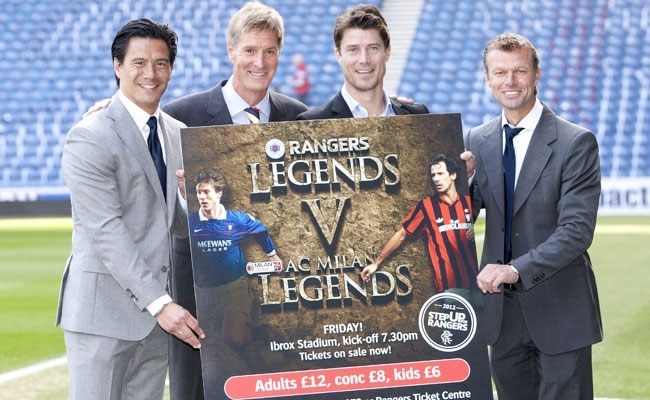 Introduced two by two before kick off the loudest cheers were reserved for Brian Laudrup and McCoist. 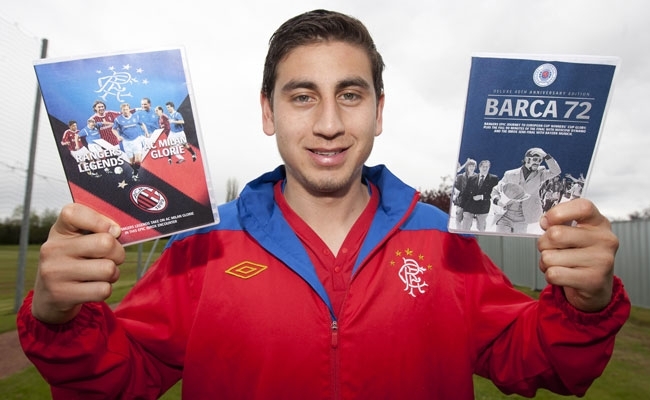 There was recognition too for the world class talent lining up against some of Rangers fans’ favourite ever players. In Franco Baresi, Milan had one of the world’s greatest ever defenders and he showed it on a couple of occasions, despite his 51 years. In midfield Gianluigi Lentini showed flashes of why he was once the game’s most expensive signing. It was little surprise that in a half of no goals it was the keepers who enjoyed the best moments. Massimo Taibi made a fine stop from van Bronckhorst, while Andy Goram showed he still had the quick reflexes that made him a nine-in-a-row hero. His dive to deny Lentini kept the score level at the break and set up that moment of magic for McCoist early in the second half. The pace may have gone out of the legs of a lot of those on show, but the competitive spirit was still there and Milan rallied amidst a sea of changes. Each substitution allowed a legend in blue to enjoy the salute of the packed stadium and with the final few minutes played out with no score it was a happy group of Rangers fans who left Ibrox.